Whether you want to watch Hocus Pocus as part of a movie marathon with your friends; wear a fun, creative “couples costume” with your significant other; or you want to blast out your “Monster Mixtape” (that plays Monster Mash or Ghostbusters for some reason?) in your dorm/apartment: Halloween has arrived at Loyola! Luckily Loyola has a bunch to do during this special time of the year! Here are some tricks and treats to help you out to have a “phan-tastic” day. Costumes are supposed to be fun, creative, and quirky! 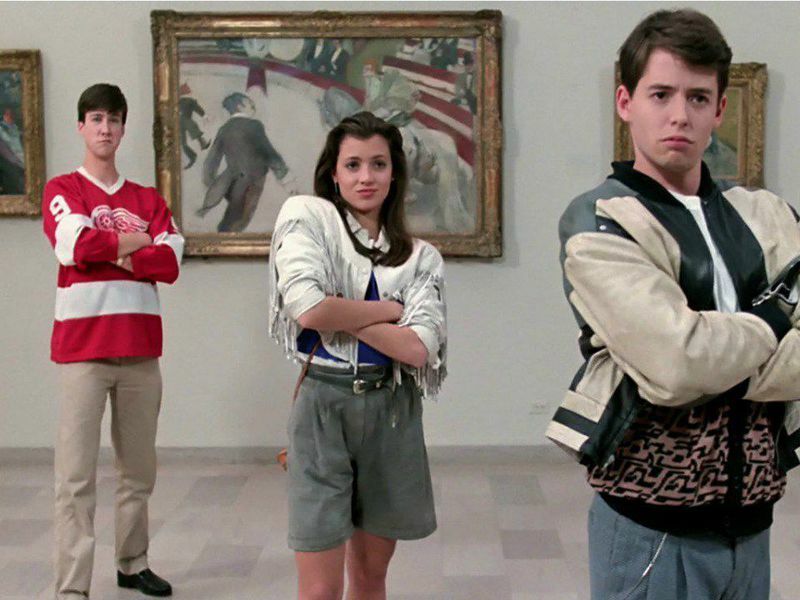 You can choose to be anything from your favorite TV show character (from Stranger Things or even Saved By the Bell) or your favorite childhood character, like Ash Ketchum and Pikachu from Pokemon or Winnie the Pooh and Christopher Robin. That being said, I suggest you refrain from certain costumes that might be insensitive and in poor taste. Please, do not dress up as someone of another culture or ethnicity (unless you are a member of that culture), this often leads to stereotyping and misappropriation, demeaning the culture/ethnicity. Their culture is not a costume. This goes for religious themed costumes as well. Halloween is a time for quality time with your friends! But please, be careful and wary of your surroundings. Luckily, Loyola has many ways students can be smart and safe. You can make use of the 8-Ride, remember the Good Samaritan Policy, and traveling with a big group of friends. Be safe and make smart decisions. Movie Time: At Damen Cinema, get in the Halloween mood with a lineup of classics: from Halloweentown to Beetlejuice to the Corpse Bride. All of these movies are free for students and come with FREE CANDY! If you are more into other classic horror films, check out the 400 theatre’s Scarefest near campus that shows The Exorcist and Night of the Living Dead for $3-4. 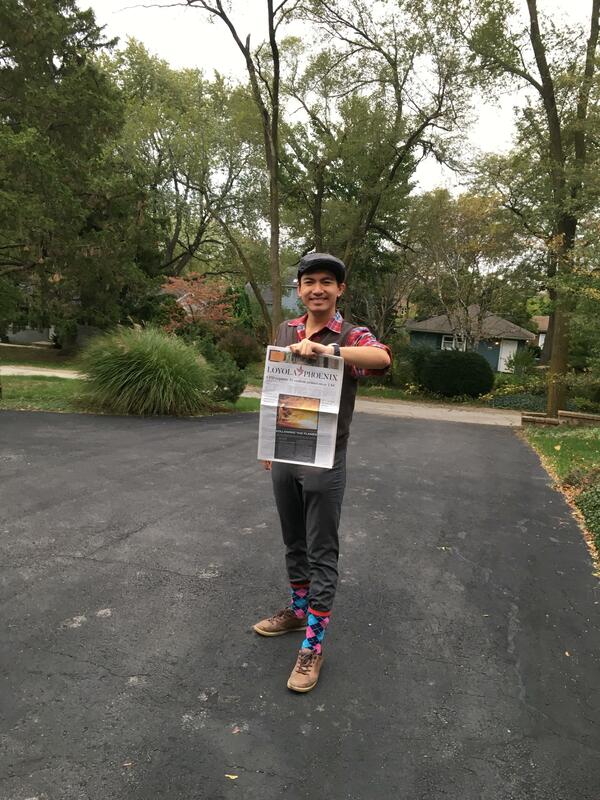 Yes, this is a photo of me wearing my Newsies costume for Halloween this year! 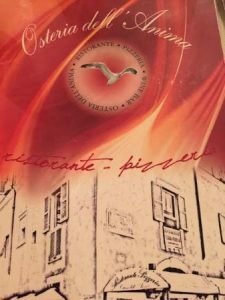 My life pretty much revolves around food, so I can’t not take this opportunity to tell you about one of my favorite restaurants in the entire city of Rome, and even the country of Italy: Osteria dell’Anima. 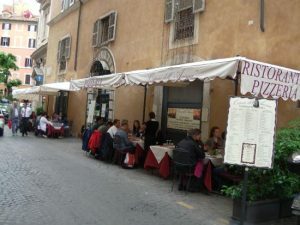 Located literally just off of the Piazza Navona at Via Santa Maria dell’Anima, 08, Piazza Navona – 00186 Rome, you can get to it easily by exiting the Piazza on west side, and turning north. If you’ve walked past the length of the Piazza, you’ve gone too far and walked right past it! Sitting outside won’t get you a view of the Piazza, but you do get to see a lovely Roman church, Santa Maria dell’Anima, and delightful slices of Italian life as the locals avoid the tourist hub of the Piazza Navona. Although do be warned, you’re still in reach of the peddlers, and quite close to any taxis that may prowl by, so keep your things underneath the table. Whether you are in Rome as a JFRC student like me, or only visiting, you can’t miss this restaurant. As a Loyola student, we have a discount here, which makes everything all the sweeter. Every semester, Loyola hosts a special, but optional, mass to kick off the semester in one of the many historical Jesuit churches in Rome, followed by a dinner here that most students attend, if not all, for a very reduced price. For just 20 euros, we received antipasti, two bottles of wine, primi, and dessert. Beyond worth the price. But if you go again without the school as I do, and mention you’re a Loyola student, you still receive a discount – around 20%! Make no mistake: I love food, and I love discounts, so this is already pretty good. But the food, oh my lord, the food. Osteria dell’Anima knows what it’s about! Their famous specialty is pear pasta. 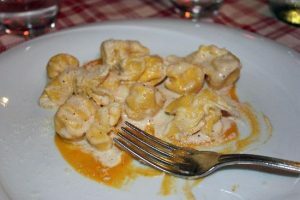 Officially, it’s listed on the menu as ‘Fiochetti di formaggio e pera su crema di carote’ – Pasta stuffed with cheese and pears, covered in a carrot sauce. Ask any JFRC student, past or present, and we will swoon at your feet at the mere thought of it. Hand over heart, I’ve dreamt about it. The absolutely divine combination of sweet and savory, smooth and textured, heavy and light, flavor and weight, pear pasta is mindblowing. It’s neither too think nor too watery, not too sweet or too salty, not too – well, you get the point. It’s pear and cheese in a delightful pasta packet with a gentle covering of white cream and carrot cream, which I only found out later. I could go on and on. Get this, when you go. Other dishes that are tried and true verifiably delicious? Well, every other dish I’ve nibbled off people’s plates. I don’t go and not order pear pasta, but I can say that their linguine all’astice fresco, linguine with fresh lobster, had my brother’s jaw dropping and proclaimed the best meal he’d ever had in his life. The saltimbocca alla romana, sliced veal with ham in a wine sauce, and the melanzana alla parmigiana – eggplant and parimigiana – were also excellent. For those interested, the wine selection includes wines to try from all over Italy, and the service is phenomenal as well. 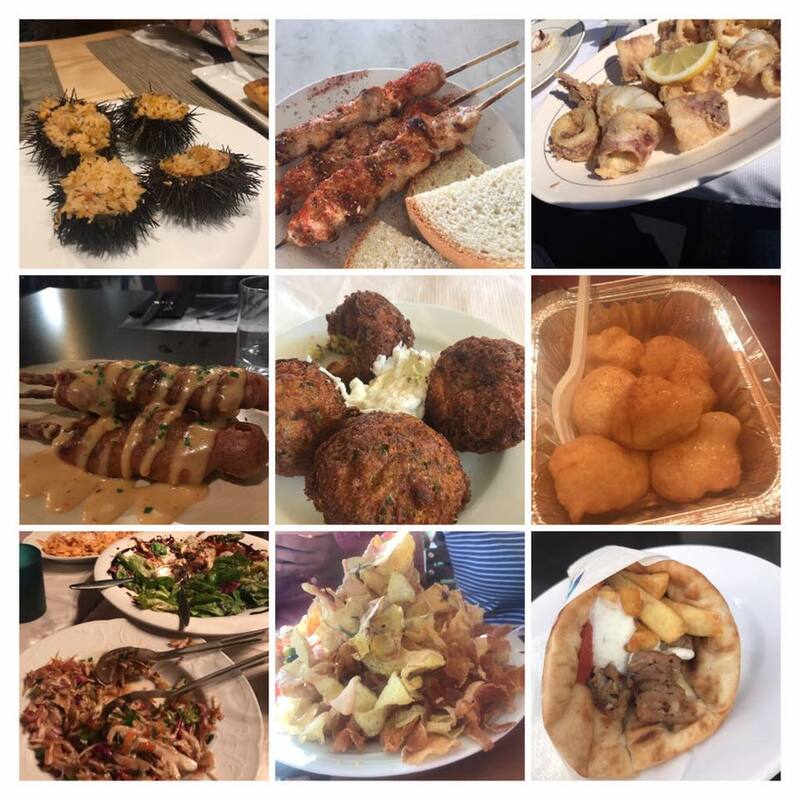 The staff are all highly enthusiastic about the dishes as well, and very educated on all the foods and wines they offer, and are happy to make recommendations. There is outdoor and indoor seating, but the outdoor seating doesn’t have heat lamps like many other restaurants in the city. 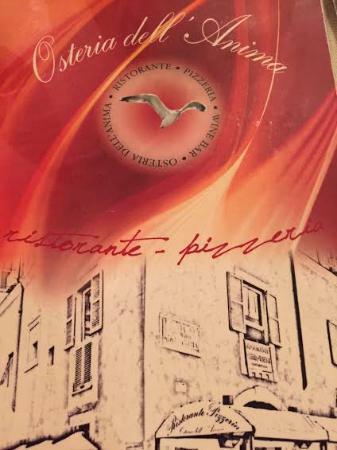 If you’re reading this and you’ll be in Rome ever in your life, trust me and go to this restaurant. I’ll be saying this about every other place I recommend, as I do recommend it, but I mean… I haven’t had dreams about eating from any other restaurant here yet, so it’s a very good sign. Check out the place for yourself at their website, http://www.osteriadellanima.com ! This is Jackson. Doors open on the right at Jackson. Transfer to blue, orange, brown, pink, and purple lines at Jackson. Hey everyone, welcome back to the second installment of Explore Chicago CTA Edition! Today we are going to be exploring the stores, restaurants, and attractions near Jackson’s red line stop. So be sure to bring your ventra card (u-pass), your student ID, and as always an empty/hungry belly! Let’s go! There are three ways that I would recommend getting to Jackson, depending on where you live and with time considered. The first way is the easiest. You can take the CTA Red line down from Loyola straight into Jackson station (toward 95th). This may take around 45 minutes, give or take. Or, you can take the Intercampus shuttle from the Lakeshore Campus to the Water Tower Campus and take the El from Chicago and State toward Jackson. Lastly, you can always take an Uber or a Lyft, depending on the size of the group you are traveling with, and what time of day you are planning to visit the area. Still hungry and looking for more? Be sure to tune in the week of November 7 as we go an explore Lake on this edition of Explore Chicago CTA Edition. Doors closing. For students at our Chicago campuses, Fall Break is a too-short four-day weekend made for sleeping in, taking time to explore the beautiful city, and, if you’re an out-of-state student like me, hanging out with all of the other students who live just a little too far to go home for a break. But in Rome, it’s a full ten days of absolute freedom! Want to go to the Scottish Highlands for a week with no troubles or worries on the mind? You have that time! Want to just stay at a nearly-empty campus and relish all Rome has to offer? You can! Or you can city hop every day, crossing the borders of Europe at your choice and pleasure. Or, you can go on a Study Trip, as we call them here at JFRC. There are typically two options, Greece and Poland, and for a set cost, all of your flights, hotels, and at least one meal a day is arranged for you. Plus, you travel with friends and can make new ones, as well as being led by faculty members that are so incredibly passionate about their countries. Last week I went on the Greece trip, with 44 other students for a trip we’ll remember for the rest of our lives. Although my trip was covered by my Ricci scholarship, I believe the cost for it all was about 1300 euros to Loyola. Like I said, that amount covers hotel, flights, and meals, but also museum admissions, a ferry to Mykonos, and bus transport to places I just wouldn’t have been able to reach if I had gone on my own. 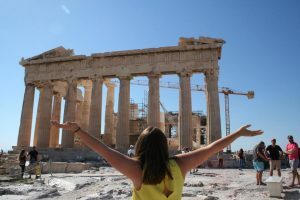 Greece has so much to offer, but is also quite costly, and if I had gone on my own I would have probably just stayed in Athens, or on just one island, when there is so much more to see. The Poland trip is about half the cost, if I recall correctly, but it is only for about half of fall break, instead of the full time. However, this year they did get to participate in a Human Rights conference and meet Lech Walesa, an incredibly important person in history, not just for Poland but for the world. Let me tell you a little about my trip! 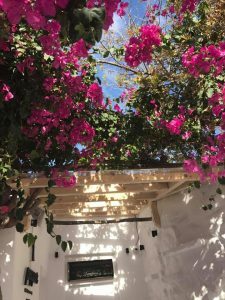 We started out in Athens, and then visited some incredibly important sites for Greek history and mythology, and ended up on the beautiful island of Mykonos, famous for its beaches and clubs. Our guide was Dr. Ioanna Kopsiafti, a Greek historian, food critic, journalist, world-changer, sometimes-professor at JFRC, and all-around amazing person. She is a font of knowledge and stories, the sort of person who may tell you about the time she gave Bill Clinton a private tour of the Parthenon museum because she thought his current guide just wasn’t doing it justice, or the time she just walked to Istanbul from Athens. Dr. Sander Evers, JFRC’s Associate Dean for Academic Affairs and resident ancient Roman historian, accompanied her, as well as JC Cisneros, one of our Student Life Assistants, and between the three of them, the whole crowd was laughing until we split every night. I’d advise people thinking about taking this trip to do it for these people at the very least. After Athens, we saw a whole host of places that had my jaw dropping. Greece is a beautiful country, and we went to Delphi, where the ancient oracle offered kings advise, and to Sparta, Corinth, Mycenae, Delos, where allegedly Artemis and Apollo were born, and climbed up and down a magnificent mountain with well-preserved ruins from the Byzantine Empire. We also had the wonderful privilege of spending half a day in Ioanna’s hometown, Karyas, where the famous Karyatids in the Acropolis came from. We were welcomed into that village of 300 people with open arms, even though we may have been the loudest thing to happen to that place every year. We had the opportunity to swim in the Aegean with a backdrop of mountains, to taste sea urchins and baklava, to watch the sun set from a hotel that doubled as a ski resort in the winter, to run races in arenas that used to crown legendary athletes, and to gaze at the stars from the prow of a ferry taking us from the mainland to Mykonos. It was truly magical. 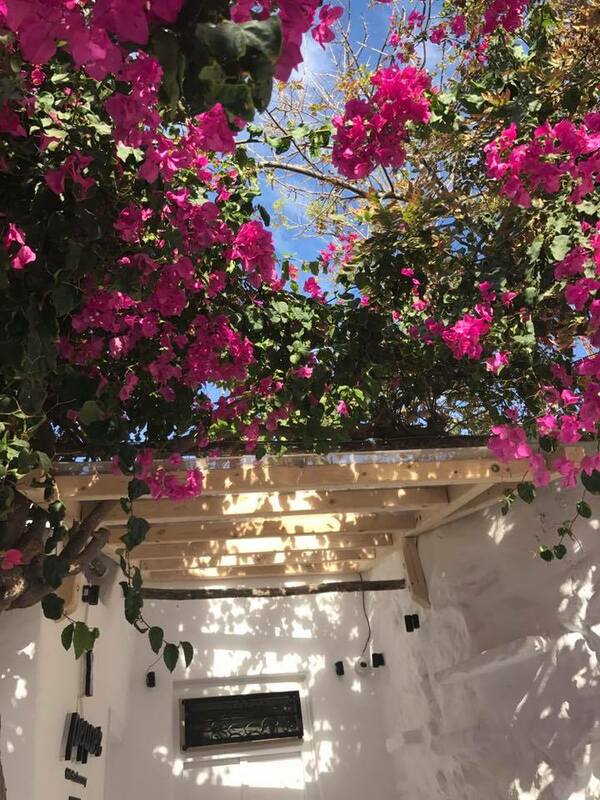 Sander and Ioanna have been doing this for ten years now, so they were well aware of our needs to just wander and have free time, what bars or restaurants to recommend, and have all in all just crafted the ideal student trip. It’s neither stuffy nor boring, and although it’s called a Study Trip overall the feeling was that we learned more about ourselves and Greek culture than any old dates or historical things that others (who are not history majors like me) may find absolutely dull. 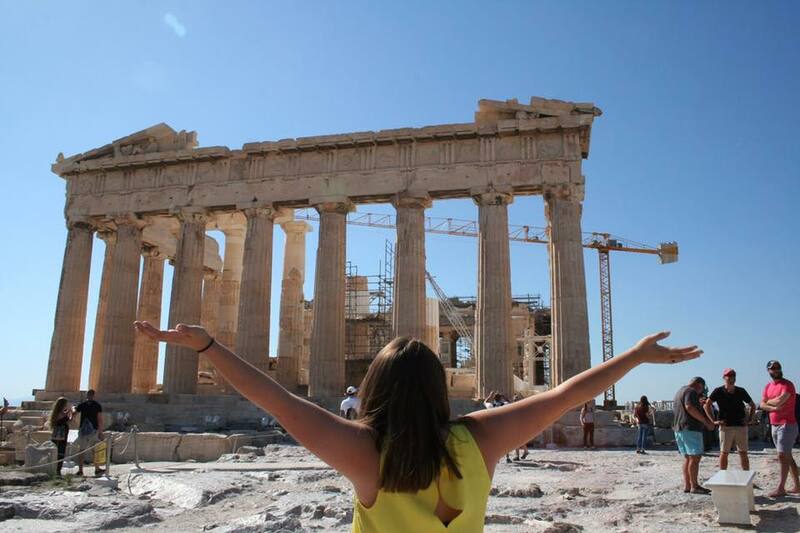 If you want to experience Greece, not just visit Greece, you must take this trip over Fall Break if you get the opportunity to be here for the Fall semester. I couldn’t gush about it more. If you have questions, or even just want to see more pictures, ask me. I would be more than happy to tell you about this fantastic time. 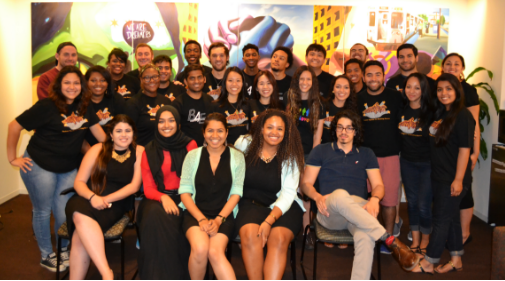 Loyola University strives to be a community of diversity though ethnicity, religion, culture, and so much more! We foster a welcoming and open-minded environment for students to venture out and learn about different clubs and events! 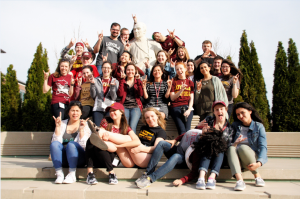 To say in the least, Loyola is very student-diverse and offers many clubs and things to help anyone and everyone become more comfortable at our school and have the opportunity to learn about other people and their customs. Nearly half of the Loyola population consists of minority students! We have tons of clubs and sororities that are ethnic-based as well! I am president of the Vietnamese Student Association and can vouch that my organization welcomes all people to learn about our culture; especially those who are Asian or Vietnamese, this club can serve to them as their own second family where they share same cultural values! All organizations have general body meetings and larger events that are extended to to the entire Loyola community, so anyone can come participate. Besides clubs and Greek life, there is a particular office that officially serves the diverse student population. 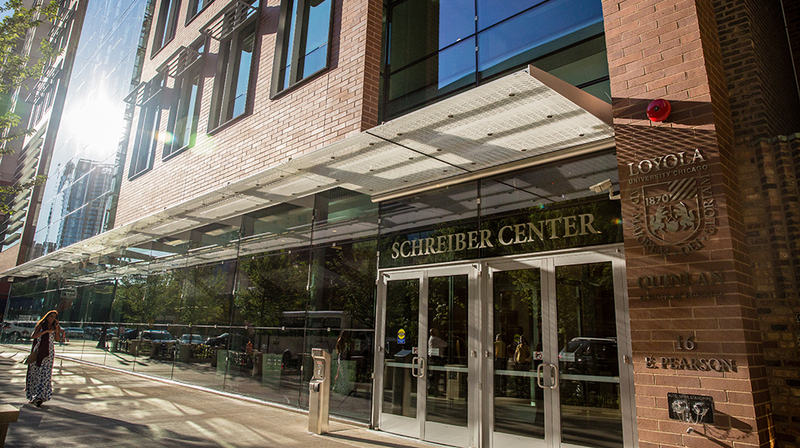 This is the office for Student Diversity and Multicultural Affairs. This office is a wonderful spot for students to meet other students and offers so many resources to help you out in all aspects. In general, Loyola University is an institution with Jesuit beliefs. We strive to be respectful, caring, and loving to one another, regardless of any conditions or backgrounds. In my experience as a minority, I have never run into any racial problems or forms of discrimination on campus, so that is a good thing. Throughout classes, professors will also promote this ideology of respect as well; LUC students are nice and considerate to one another. Student diversity is something the school really takes pride in and celebrate a lot! Grant current DACA beneficiaries’ permanent resident status on a conditional basis and allow temporary protected status (TPS) beneficiaries, people without lawful immigration status, and people with final orders of removal the opportunity to apply for it. Permit a conditional permanent resident (CPR) to obtain lawful permanent resident (LPR) status (sometimes referred to as getting a “green card”) if they go to college, have worked for a certain amount of time, or served in the U.S. military, in addition to meeting other requirements. Provide a pathway to U.S. citizenship. A person would have to be a CPR for eight years before they could become eligible to apply for LPR status, and after about five years as an LPR, they could apply for U.S. citizenship. Stay (stop) the removal proceedings of anyone who meets Dream Act requirements as well as young people over 5 years of age who are enrolled in elementary or secondary school. Improve college affordability for undocumented youth and other immigrants by giving states the ability to provide access to in-state tuition or state financial aid programs like Monetary Award Program (MAP) grants. This month, Loyola University Chicago encouraged students to send a message to their local U.S. Representative or Senator. 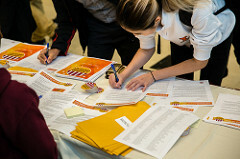 These notes were pre-printed letters written on behalf of students who are directly affected by the fate of this program. 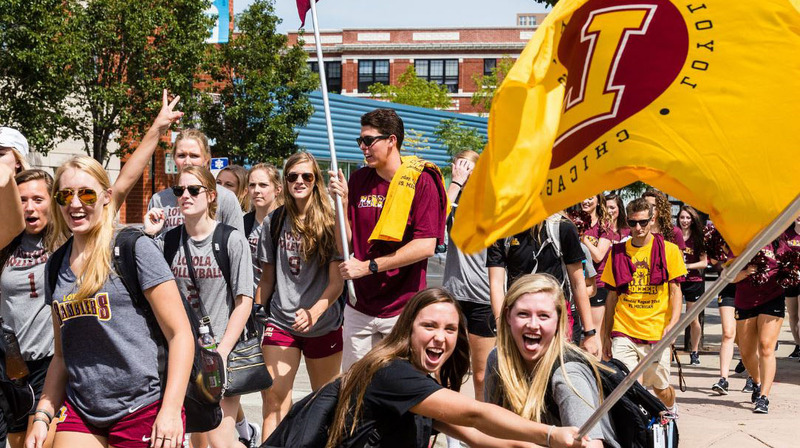 Over three days, 2,454 members of the Loyola community participated at the Lake Shore, Water Tower, and Health Sciences campuses. Most of them were students. In total, 7,362 letters were sent to 84 Senators and 297 U.S. Representatives—from a total of 43 states and territories. 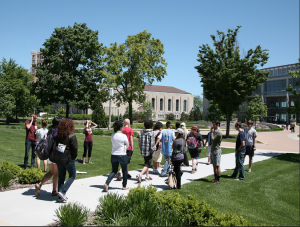 As a Jesuit, Catholic institution, Loyola University Chicago firmly believes in the dignity of each person and in the promotion of social justice. The Loyola students and other undocumented immigrants who would benefit from the Dream Act were brought here as children and now represent a wealth of talent who are woven into the fabric of our communities. 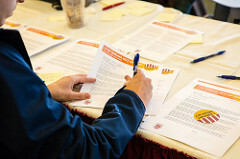 The Association of Jesuit Colleges and Universities and the United States Conference of Catholic Bishops are among the many organizations who join Loyola in support. Many Loyola Students have been affected, including Students Zarna Patel and Cristina Nunez. Patel has been able to pursue her dreams with her DACA status. She looks forward one day to starting her own nonprofit, promoting better health education and access to care for underserved communities, especially women and children. Nunez receives a Magis Scholarship from Loyola, a highly selective financial aid program for students with DACA status. She is a powerful advocate for social justice, seeking opportunities and justice on behalf of all undocumented people. The most important and effective thing you can do is to contact your representatives in the U.S. House and Senate, and urge them to pass the Dream Act of 2017. Loyola University Chicago encourages everyone to contact their members of Congress and express their opinion on the legislation, whether you support or oppose it. Loyola’s Student Diversity and Multicultural Affairs department provides resources for Loyola’s undocumented students. 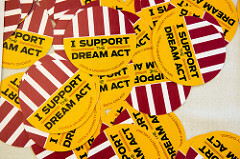 Please visit the Undocumented Student Resources, or contact Tim Love at tlove@LUC.edu. For more information about Loyola’s advocacy for the Dream Act of 2017, please contact Phil Hale, Loyola’s vice president for government affairs at phale@LUC.edu. A block and a half away from Chicago’s Magnificent Mile, a few blocks from the Gold Coast neighborhood, and walking distance from the Oak Street Beach; you will find Loyola’s Water Tower Campus. 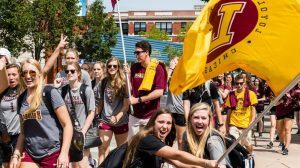 Home to the Schools of Business, Education, Social Work, Law, Continuing & Professional Studies, Communications, and Loyola’s Arrupe College; Loyola’s other campus is one full of opportunities all in a central downtown location. Most students who live at the Lakeshore campus can take the Intercampus Shuttle Bus which runs typically every 15-20 minutes and gets you to either campus in around 25-30 minutes (depending on traffic). To use the shuttle service, be sure to use your guest pass or student ID card. Sometimes there is a delay on the shuttle or you cannot wait, you can also take the Red Line train from Loyola down to Chicago and State. This would roughly take 30-35 minutes. Of course, you can always take a Taxi or an Uber/Lyft. Compared to Lakeshore campus, Water Tower has only one residence hall, Baumhart Hall. These rooms are often quads or triples. Luckily, there are also tons of apartments/condos that are situated close to campus for students to use. There are no dining halls at the Water Tower campus. However, LU’s deli, acts as a dining hall by providing sandwiches, plates, drinks, and more to students who have a meal plan. There are also places you can use your RamblerBucks: Epic Burger, Flaco’s Tacos, Potbelly, and Subway. In addition, being situated close to the Magnificent Mile allows students to have access to Water Tower Place (bunch of eateries, snacks, restaurants, cafes), Ghirardelli (for dessert), and small bake and pastry shops like Le Pain Quotedien. Being situated in Chicago gives students an advantage when it comes to finding jobs and internships. This is especially helpful for Communications and Business majors. Walking distance from campus are world renowned Advertising, Public Relations, Marketing, Finance, etc. agencies/corporations that offer internships/entry level jobs. Classes are also able to draw from real world application of their studies. For example, in my Consumer Behavior class we told to explore the psychological set up and intentional, sensory design of a store on Michigan Ave.
Every semester, the Water Tower campus holds a block party. Here students and faculty get a chance to relax and enjoy each other’s company and of course free, tasty food. Caterers come to the campus with free sandwiches, salads, desserts, and coupons. There are also prizes you can win and you are able to enjoy some free musical entertainment. But seriously, who can turn down free, tasty food? At Loyola’s School of Communications you can find Rambler Sports Locker which is Loyola’s version of ESPN with an update on sports, games, and events happening throughout the week. There is also WLUW 88.7 FM, Loyola’s radio station. Here, you can find talk shows, differing types of music, and more! Students are encouraged to apply to be able to become a DJ. Our open house is NEXT week! Here at our Office at Undergraduate Admissions, we have been preparing for a long time to bring to you a wonderful experience of our university! If you are new to Loyola, I encourage you to at least come see the campus and see what we have to offer; with an event like this, you will be among thousands of people who share similar interests to find higher education, hence you are not alone! At our open house, you can first expect to go on tours! 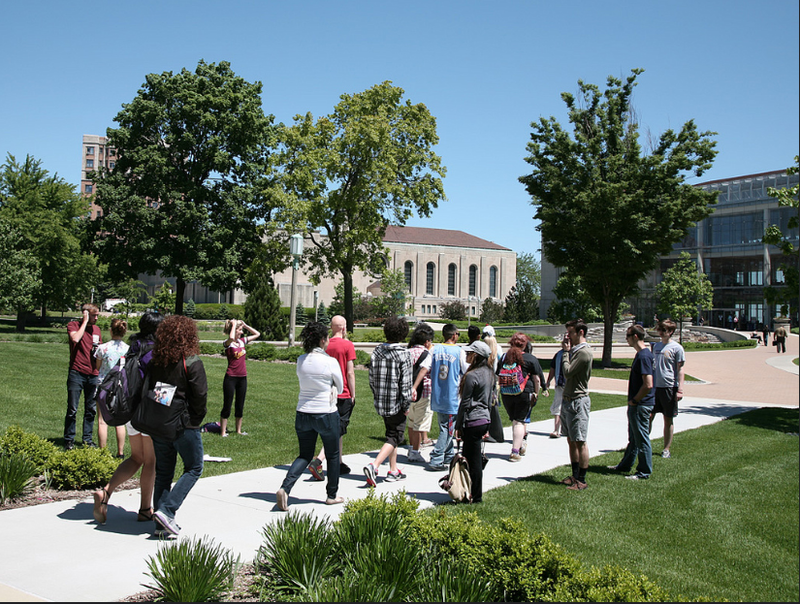 Our tours are great because they are student-led and the tour routes cover a lot of the campus! We offer tours to Halas, our recreational center, labs for chemistry and biology, actual dorm halls, and campus ministry! These open house tours are great because you are led into places that general tours (that happen everyday) do not go to. Take advantage of this opportunity! In addition to tours, there will be presentations throughout the day! 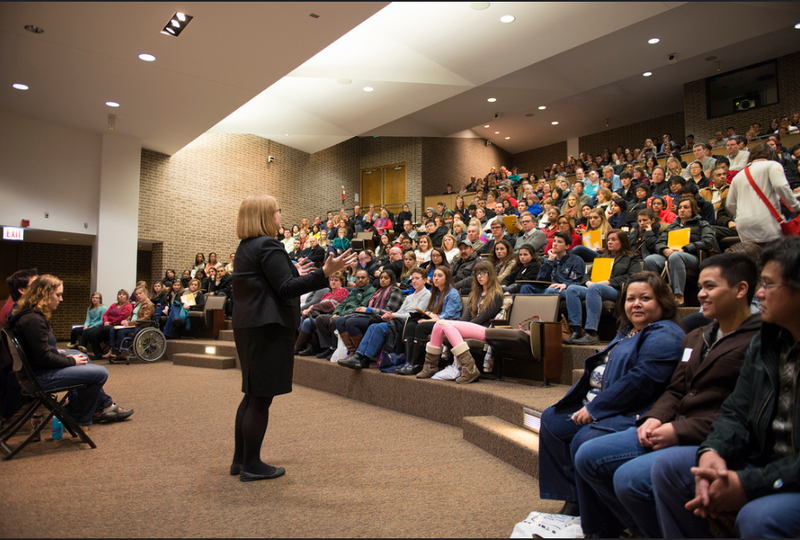 These presentations range from financial aid to how to apply to what Loyola is all about! You’ll hear from actual staff and admissions counselors and potentially get the chance to meet with them one-on-one. These presentations will be scattered throughout our campus buildings, therefore you will be able to experience what is it like to be a student and get a better feel for the environment. Student workers, such as myself, will be at this event! Personally, I believe that talking to an actual student and hearing their own opinions and experiences are quite useful and eye-opening. It is easier for the student to relate to the prospective student and tone their conversations in a way that is understandable to both him/her and their parents. Loyola is in the the great city of Chicago! You have the opportunity to travel down to our Water Tower Campus and see everything there too, especially if you aspire to be a business major! 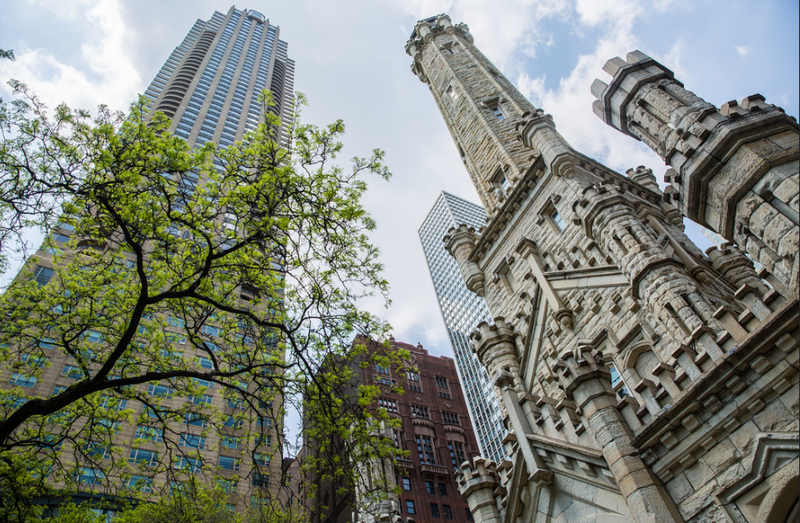 Conveniently, the Water Tower campus is in the heart of Downtown Chicago, so feel free to explore the Magnificent Mile and do some tourist attractions there! There’s a lot to see and do! Finally, coming to this event ultimately brings you reassurance. Regardless if you like the university or not, you will have a better idea and understanding of what Loyola University is all about, externally and internally. When applying, you will be better equipped to answer those questions and tailor them to our Jesuit values and other factors we look for in a LUC student. With respect to the city, you now know how close we are to the city and how urban life is connected! As I have said, I HIGHLY encourage you all, regardless of your year in high school, to come register for this event next week, Saturday, October 21! This is Cermak-Chinatown, doors open on the left at Cermak-Chinatown. Hey everyone and welcome to the first installment of Explore Chicago: CTA Edition. Today, we are going to be exploring one of the most fun and diverse neighborhoods in the city, Chinatown! So be sure to bring your ventra card (u-pass), a couple of friends, and an empty belly ; you are all ready to go! There are three ways that I would recommend going to Chinatown, depending on where you live and with time considered. The first way is the easiest. You can take the CTA Red line down from Loyola straight into the Cermak-Chinatown station (toward 95th). This may take around an hour, give or take. 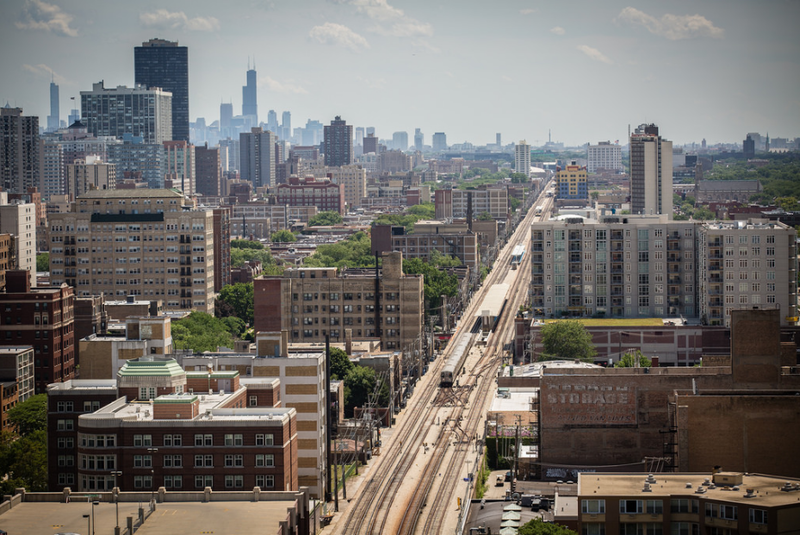 Or, you can take the Intercampus shuttle from the Lakeshore Campus to the Water Tower Campus and take the El from Chicago and State toward Cermak-Chinatown. Lastly, you can always take an Uber or a Lyft, depending on the size of the group you are traveling with, and what time of day you are planning to visit. Chinatown Square: This famous square is right outside of the station, across the street. Here you will find a two story mall of different shops offering food, drinks, and baked goods. However, the most prominent part of the square is the Chinese zodiac, represented by statues, on the perimeter. There is also a stage where performances are put on by traditional Chinese artists and musicians, these are popular during the summer months. According to TimeOut Chicago, the layout and design of Chinatown Square is based on a traditional Chinese imperial court. Chicago Chinese Cultural Institute: Close to Chinatown Square and the El Train is the Chicago Chinese Cultural Institute. Here, a deep appreciation of the Chinese culture is instilled to promote an exchange of cultures, between the US and Chinese. There are many fun activities that you can do with your friends such as taking Tai-Chi lessons, going on Chinatown food tours, or even making dumplings dinners. MingHin Cuisine: Are you looking for a restaurant that is slightly more authentic with your Chinese experience? Are you seeking for quality Dim Sum? Welcome to MingHin Cuisine! While the restaurant does not bring their food on carts anymore they do ensure that their food is freshly steamed and ready for your consumption. As with Joy Yee, eating with a bigger group is more fun and enjoyable, especially with this amount of food. This way you can try different dishes and always try more of what you enjoy eating. Here are my suggestions if this is your first time eating Dim Sum. I recommend getting their Siu Mai (a pork and shrimp dumpling), Pan Fried Pork and Vegetable Bun, and either their pork belly or roast duck. If you want more information on their menu and how to get there be sure to check this link: (https://www.minghincuisine.com/home) and (https://www.minghincuisine.com/dimsum-menu/chinatown) to plan your next meal! If you are still hungry and want more, check the next for dessert. Still hungry and looking for more? Be sure to tune in the week of October 24th as we go an explore Jackson and State on this edition of Explore Chicago CTA Edition. Doors closing. There’s only 24 hours in a day and 7 days in a week. On average, the college student student gets 8 hours of sleep a day and 16 hours to go to school, eat, socialize, and study. Full time students take around 12-18 credit hours; part-time students take less than 12 credits. To say in the least, our time each day is limited yet it is out of habit that we wake up to a productive morning for obligations like work or school. For a college student, time management is in the works; we are in that trial-and-error mode now. We are able to learn more about ourselves, what we can do, and how we plan things out so that when we graduate, we enter the adult world “ready” for life. As a commuter, 19-credit semester, pre-medicine track, religious education teacher, VSA president, choir pianist and cellist, student worker and university social media team, and older brother, I visually do a lot of things. Time management is something I still have not mastered yet, however I hope to think that I have learned it better than most people. An agenda notebook and/or huge calendar is necessary to stay on track. If you are me, you have 2 calendars and one agenda. It’s a lot, but in order to be on time for events and know whats happening ahead of time, it is nice to have a monthly view of your schedule. Don’t rely too much on your phone or laptop for reminders. You may become too dependent on them and if you forget your charger one day, then you may be in trouble! If you are me and have bad eyes already, looking at phone and computer screens all day can be tiring and dry your eyes out. Prioritize. School first. Test and quizzes are first. Make time to get important things done first and sacrifice things you know are unnecessary or can be done later. Be a happy person. I am able to do the things I do because my mindset is fine. Try to look at the best of things and be forgiving. Your mind will be clear of worries and you may perform better in tasks that require focus and attention. Sleep. I know I don’t get the full 8 hours of recommended sleep. Probably a little more or less than half that amount daily. I know I must put this as priority and I am working on doing that. All in all, time management is something that I am not successful in. However, if you wanted to know how to do many things in an organized way, hopefully this blog post served its purpose!